Should You Buy or Make Dry Ice? Home > Dry Ice > About Dry Ice > Make Dry Ice? The capital investment to produce dry ice is high. Capital costs include installation of a liquid storage tank, piping and dry ice making equipment with an additional investment in insulated storage containers. Ongoing operating costs for dry ice production include electricity, labor and maintenance of equipment. Purchasing dry ice from Continental Carbonic allows capital and operating dollars to be freed up for projects related to a company's core business. Continental Carbonic has 11 manufacturing plants, 1 Liquid CO2 plant and an additional thirty-three distribution branches which ensure that production and loads can be shifted to meet the needs of our customers. A company investing in dry ice production that experiences a breakdown will not have redundancies in place in the event of a breakdown or outage. 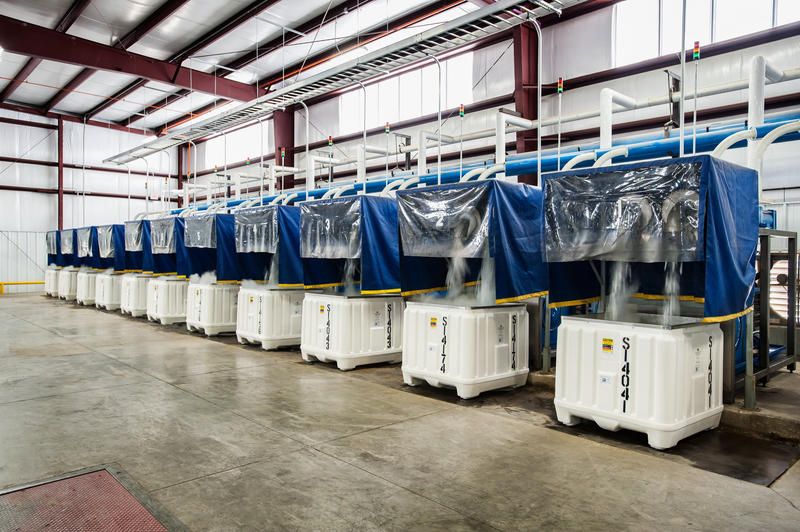 Continental Carbonic makes sure that its customers have the dry ice they need, when they need it.